Let us characterize vampires as a humanoid being that drinks the blood of other humanoid beings to create more of their species. There are many aliens that are humanoid in the Star Trek universe. My question is: in all the books, movies, comics and TV shows, are there any vampires? Obviously it's not even close to being humanoid. Elsewhere in the EU canon, there was a crossover that featured a genuine vampire named Britt. She helped the Enterprise crew fight off an infestation of Zombies in the TOS Comic: "Infestation, Issue 1"
You might also want to take a look at the TOS novel "Bloodthirst" (hat tip to @Omegacron) where Kirk and the crew encounter a manmade virus which causes its victims to suffer from many of the more obvious characteristics of vampirism, notably a thirst for blood and extreme light sensitivity. There is only the outpost's sole survivor, Dr. Jeffrey Adams. A man with a secret that will rock the very foundations of Starfleet... and a terrible, all-consuming hunger that will bring death to the crew of the starship Enterprise. Not the answer you're looking for? Browse other questions tagged star-trek aliens vampire star-trek-eu or ask your own question. Could the Enterprise beam a vampire into a house she didn’t have permission to enter? 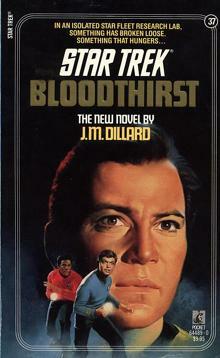 What are the current productions of the Star Trek Universe and are they planning to make more? Do Doctor Who and Star Trek occur in the same universe? Are there Star Trek Species that are explicitly biologically incompatible? 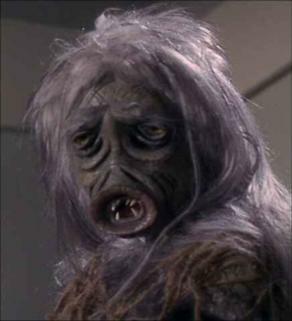 Are there any other changeling species in the Star Trek universe besides the Founders?